Welcome to another great party! I hope you are bringing your best recipes! 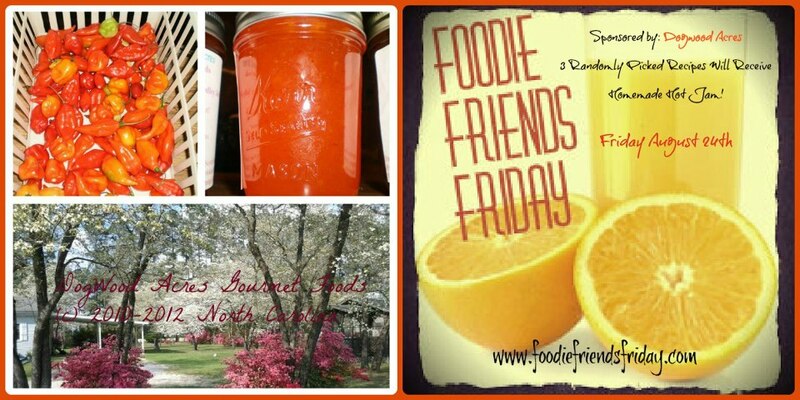 This week we are lucky enough to be sponsored by Dogwood Acres who will be giving our randomly selected winners their Homemade Hot Jam!! How amazing does that sound? OK. This may be the coolest thing ever. If you haven't guessed, I love pizza. It is, hands down, my favorite food. I love that you can make so many different variations, and as a vegetarian, one of the foods I miss is chicken pot pie. It has such great flavors and is just so comforting. Now, I have found a way to enjoy that same experience in a PIZZA!! This was so much fun! If you wanted to make it super simple, you could use a bag of frozen mixed veggies, but since my local organic farm had all but the peas available, I decided to use their fresh veggies. I prepped them and steamed them to make my own veggie medley for this pizza and it was really easy - and don't they look beautiful? :) And what a great way to get kids to eat more veggies! Using a steamer, steam the green beans for about 1 min, then add the carrots and peas and steam until crisp tender (about 5 mins). Set aside to cool and add the corn kernels to the veggie mixture. Heat the oven to 475 degrees with the pizza stone inside. Melt the butter in a medium saucepan over medium-high heat. Add the flour and whisk until smooth. Cook for 1 minute. Add the broth and whisk constantly for 2 minutes until it thickens and begins to bubble. Whisk in thyme, sage, salt, and pepper and cook for 1 minute more. Remove from heat and let cool for 10 minutes. Prepare the pizza crust. Spread the sauce evenly over the crust leaving a 1 inch border. Top with mozzarella. Layer the mixed vegetables evenly over the pizza. Sprinkle with parmesan. Bake until crust is golden and cheese just starts to brown (about 15 minutes). Let cool about 5 minutes before serving. Enjoy!! When I decided to take the leap to vegetarianism, I did it for ethical reasons. I had struggled with reconciling my deep love of animals and a meat-eaters diet for many years, but upon learning more about factory farming and other egregious agri-business practices, I became a more conscious consumer. I have been a vegetarian for almost 6 years now, and there are still a number of foods I miss. One dish in particular is my husband's perfected chicken noodle soup. I am telling you, this soup is the best soup I have ever had! But how could you possibly make chicken noodle soup for a vegetarian and make it taste like the original version? Then I found this amazing product - Imagine No Chicken Broth. So many recipes call for substituting vegetable broth for chicken broth, but it is just not the same! You can always tell it is just vegetable broth. 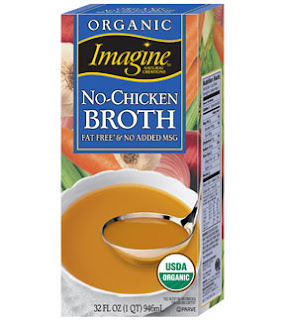 This no-chicken broth is different. I have used it for soups, sauces, pastas, and casseroles and they all taste amazing! I love that it is organic as well. 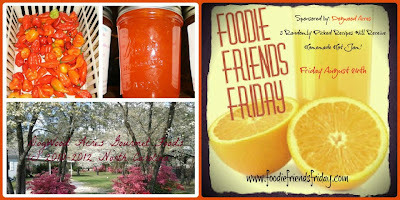 If you regularly visit this blog, you have seen that we get watermelon every week they are available. Usually we just cut them into chunks and eat them plain for dessert during the week, but this time I was in the mood to try something new. I have seen all sorts of watermelon salad recipes, but I usually didn't like something about them. The main ingredient I repeatedly saw was fresh mint leaves. Call me crazy, but I am just not a fan. So I played around with a few variations and settled on this simple and clean version. There are only three ingredients because I really didn't want to mask the flavor of the watermelon. This is a wonderful dish to bring to a BBQ or summer pot luck. Simple, fresh, and delicious! Combine all ingredients into a bowl and gently stir to combine. Enjoy!! We will be enjoying the yellow watermelon and saticoy melons for dessert and will be adding the cherries to my freezer for more Frozen Cherries. Hope you all have a wonderful week filled with delicious food!